Original publication date: Monday January 28, 2019. These images show how the surfaces of magnesia (top block) and barium titanate (bottom block) respond when they come into contact with each other. 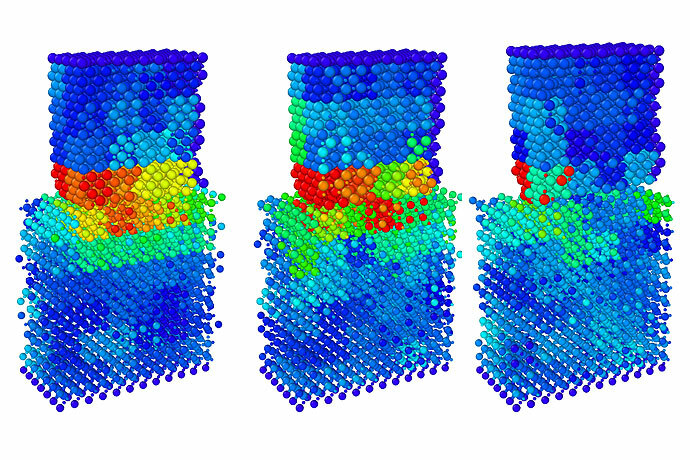 The resulting lattice deformations in each object contributes to the driving force behind the electric charge transfer during friction. Contact goes from right to left. Credit: James Chen, University at Buffalo. Illustration of the research presented in the news release.